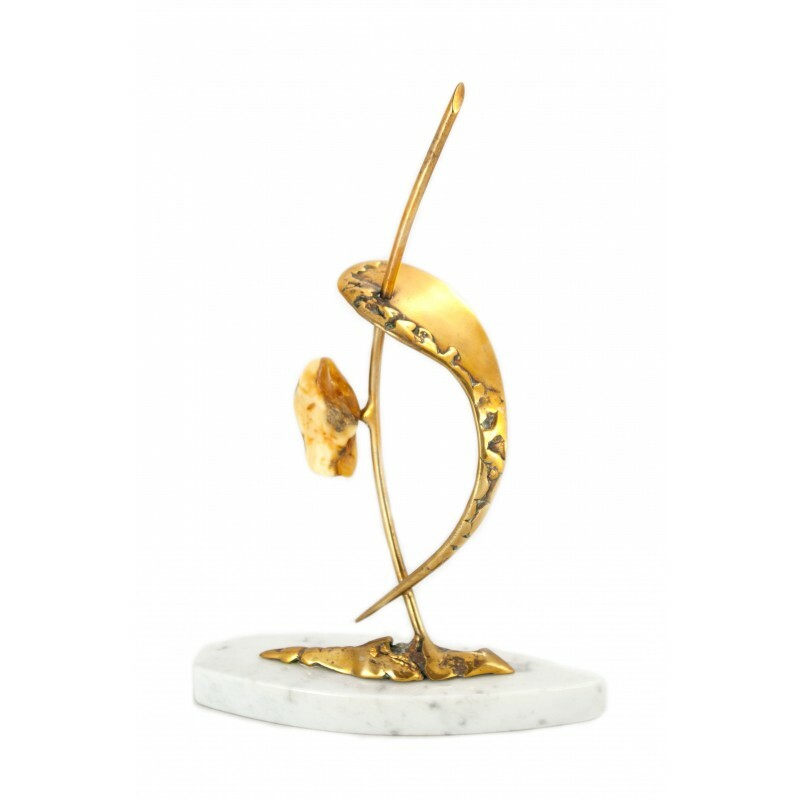 The composition "Favourable Wind" made of white marble, brass and the Baltic amber. An original, unique work of a talented author. Solid, original and precious sculpture made of marble, brass and the Baltic amber - wishes good luck in Your life and work.